WASHINGTON (AllPolitics, Sep. 10) -- The Democratic National Committee's top lawyer testified at the Senate campaign finance hearings today that Vice President Al Gore had "no reason" to know that money he raised through controversial phone calls would be used by the party as so-called "hard money." But Republican investigators believe a string of newly released documents indicate Gore should have or did know that some of the funds he was raising in phone calls from his office was hard money -- regulated contributions that could be spent on a specific federal candidate. The case is built on a February 1996 memo from the DNC. Republicans say it shows the DNC considers the "first $20,000 given by an individual" to be hard money, which the DNC calls federal money. DNC General Counsel Joseph Sandler told the panel that the 76 fund-raising calls made by Gore from his office were "legal and appropriate." Sandler said the memo was a way of putting campaign finance law into "plain English." The memo was passed along to both the president and the vice president. The cover sheet contains the president's handwriting and his backwards check mark, indicating he had read it. There was no sign of whether the vice president read it, and Gore spokeswoman Lorraine Voles said he "has no recollection of the memo and in any event he would not have related it to his phone calls. He doesn't recall the memo." Republicans then pointed to call sheets, which were one-page summaries the vice president used before making phone calls that included information on donation history. 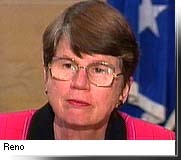 Under Attorney General Janet Reno's reading of the law, it is illegal to raise hard money on federal property. Sandler explained that it is the party's general practice to deposit all the checks it received into so-called "hard money" or federal accounts, which are accounts subject to all the legal restrictions that apply to federal candidates. Any amounts in excess of the federal limits would then be transferred to "soft money" or non-federal accounts, used for more general partisan purposes. Gore "would have no reason whatsoever to be aware the DNC" deposited the donations into federal accounts, Sandler said. 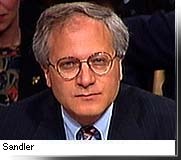 "In my view, the calls made by the vice president were entirely legal and appropriate," Sandler said. Republicans are expected to use the documents to press Attorney General Janet Reno to move for the appointment of an independent counsel to investigate Gore. Federal law allows an individual to give up to $25,000 per year to a national party committee, such as the DNC, for its federal or "hard money" accounts. Anything in excess is deemed non-federal, or "soft money." The Senate hearings resume Thursday at 10 a.m. EDT. 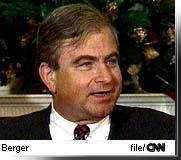 Expected to testify is National Security Advisor Sandy Berger. In a separate development, the House Government Reform and Oversight Committee has announced a schedule for its hearings into the fund-raising controversy. The House hearings, which will occur at the same time as the Senate inquiry, will begin Wednesday, Sep. 17, with opening statements from the 44 House committee members. Initial witnesses are expected to include Manin Foung, sister of Charlie Trie, a Democratic fund-raiser and central figure in the investigation; Joseph Landon, a close friend of Trie's; and David Wang, a California donor to the Democratic National Committee. CNN's Candy Crowley, Bob Franken and Brooks Jackson contributed to this report.